Latvia’s Prime Minister Valdis Dombrovskis has resigned following the deadly collapse of Maxima supermarket in Riga. Valdis Dombrovskis made the announcement at a meeting with President Andris Berzins. “Considering the tragedy and all related circumstances… a new government is needed that has the clear support of parliament,” Valdis Dombrovskis told reporters. President Andris Berzins earlier described the disaster as “murder” and called for foreign experts to investigate what had happened. Valdis Dombrovskis met the president for an hour and a half on Wednesday, the Baltic news agency Delfi reports. The prime minister’s spokesman told Agence France-Presse news agency that “the government takes political responsibility for the tragedy”. Andris Berzins is now considering appointing a new government. Elections are not scheduled until October next year. 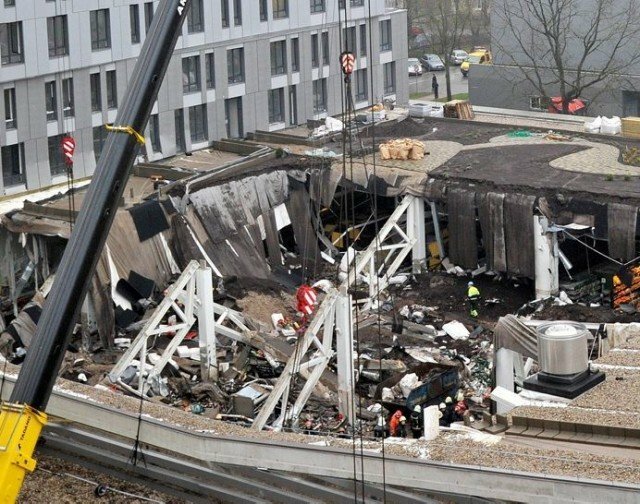 After analyzing photos, videos and eyewitness reports, one structural engineer suggested there had been numerous design flaws in the roof’s supporting beams – including not enough bolts. Taking office in 2009, Valdis Dombrovskis was charged with making harsh budget cuts and tax increases as well as tough structural reforms to tackle the country’s economic crisis. He was twice reappointed, and is widely credited with preventing the small Baltic country from going bankrupt. Latvia is due to join the eurozone on January 1st, becoming the 18th EU state to adopt the single currency.